Every now and then I get something in the mail I don't dread. Usually this is a catalog of some sort... pretty pictures of things I can't buy. 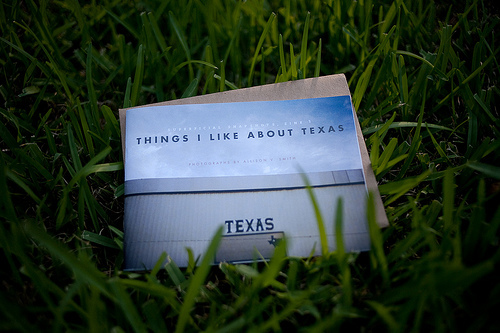 The other day however I got something I truly wanted which is a copy of Allison Smith's zine Things I Like About Texas. As a Texan (and die hard admirer of all its charms), and also superfan of her work, I was so pleased that I finally could show some of my hero worship via this purchase. I know it's not much but I AM trying here and there to treat myself with some goodies while also giving to my favorites artists. You can buy a copy for yourself at her blog.